D.F.R. : The Light VR is developed and published by Nothing Rhymes With Entertainment. It was released in 14 May, 2018. Unprepared and helpless, you are taken to a dark place where a mysterious light hunts you. In this relentlessly terrifying survival horror game, you must use your wits to stay alive long enough to extinguish the light, or perish trying. But be warned: the light is crafty and observant, so this won’t be an easy challenge. D.F.R. 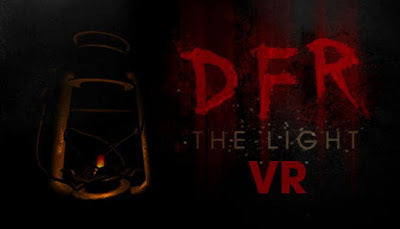 : The Light VR is a single-player, first-person VR survival horror game with a heavy emphasis on stealth. It doesn’t rely on jump scares, but instead builds a sustained feeling of dread in the player with its unique “reward\/punishment” game mechanics and increasingly aggressive behavioral artificial intelligence.